Sadly, I have had precious little time to enjoy the floral delights of Saigon, although I am hoping to write a future post about the diversity of fragrance producing plants that can be found in this amazing country. Vietnam possesses a huge diversity of plants and flowers owing to its varied geography and soil types. I love coming here, mainly for the food, which utilises an incredible array of herbs and salad leaves which just don’t seem to translate anywhere else. I don’t know what most of them are but they taste great. If there was a Vietnamese food diet, I’d be on it tomorrow. It has rained almost non-stop since I arrived, rendering this normally verdant city even greener than usual. The neatly clipped Bougainvillea hedges in the central reservations are covered in bright green shoots and jasmine flowers lie defeated on the pavements, displaced by the heavy showers. Hibiscus flowers also suffer in the heavy showers. 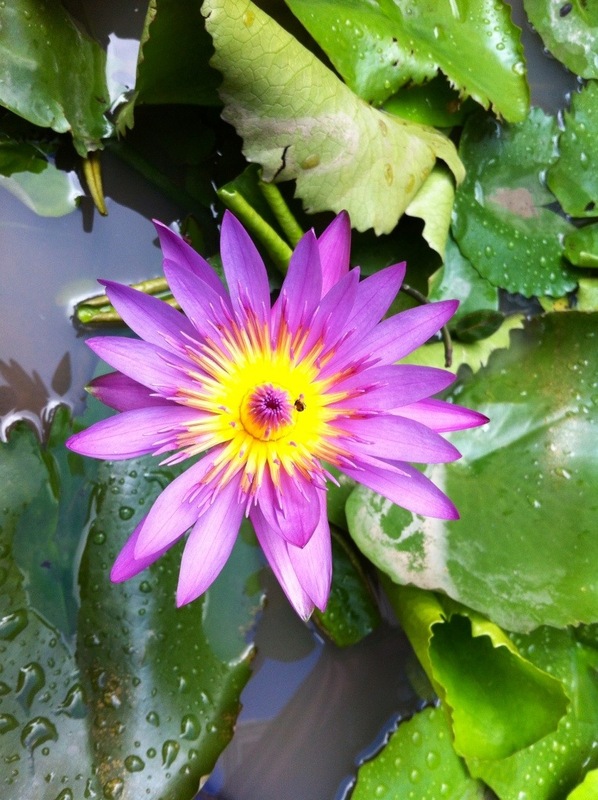 One plant that doesn’t mind a drop or two of rain is Nymphaea, the waterlily. This one brightened up my morning in a large bowl of water outside Highland Coffee in Lam Son Square, just opposite my hotel. It’s not the best picture ever, but pretty respectable for an iPhone. I hope you enjoy it. One more day here and then off to Hong Kong tomorrow night.